No one knows color like Kimberly and the Indulge team of color specialists. Over the past year, Indulge, A Colour Salon 180 from Ordinary has developed extreme highlighting techniques that enhance the face shape and lifestyle of each client that they serve. Indulge stylists will provide a consultation to assess the condition and texture of the hair in order to give you the best options for your hair color that will enhance your skin tone, improve the texture and quality of your hair and ultimately give you the best hair cut that will compliment you. Who are you? With the help of your Indulge color specialist, we will work together to discover who you are, beginning with an initial consultation that helps us understand your lifestyle, your clothing styles and your color preferences. If you wear makeup, what shades are best to suite to you? Once your color approach is determined, a formula is created using the highest quality products. 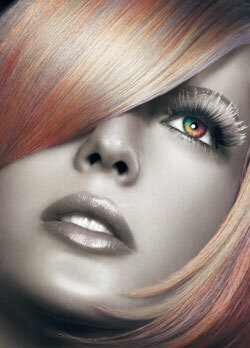 At Indulge, you will experience the first, true professional hair color – formulated just for you.